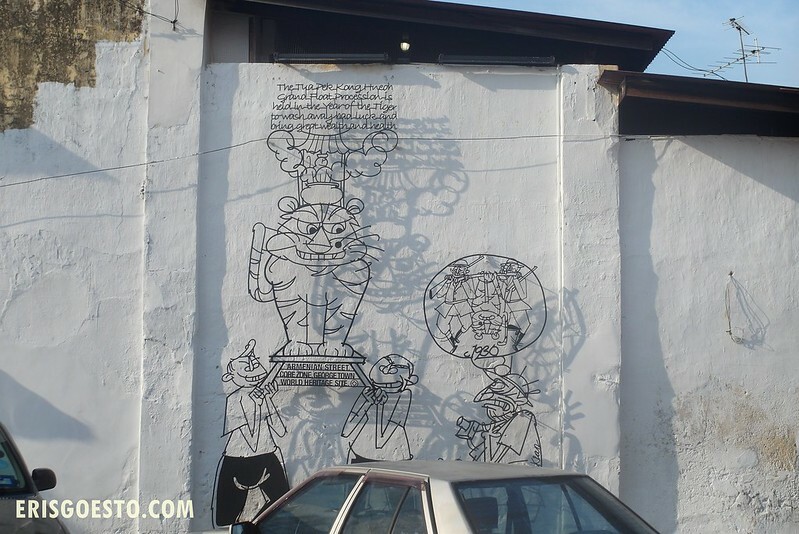 Graffiti or ‘street art’ used to be looked down upon as mere vandalism in Malaysia, but in recent years, thanks to talented street artists and good promotion, street art has become a strong tourist attraction. Penang, in particular, has embraced this and made it a big selling point. Tourist maps pinpoint the locations of all the murals you can find around Georgetown. Although it’s a little sad that it took a foreign- born talent to popularise it (even though Malaysia has so many talented artists), we have to thank Lithuanian-born street artist, Ernest Zacharevic, for kicking off the trend at Georgetown Festival 2012, an art fest to celebrate heritage, culture and all-things indie. 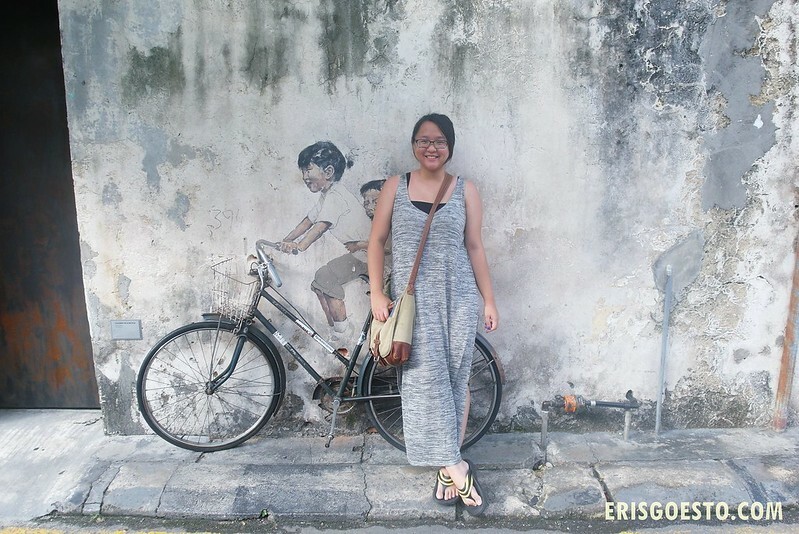 His works, which include the very popular ‘Little Children on a Bicycle’ have become a must-snap photo when wandering the streets of the city. Ah Quee? 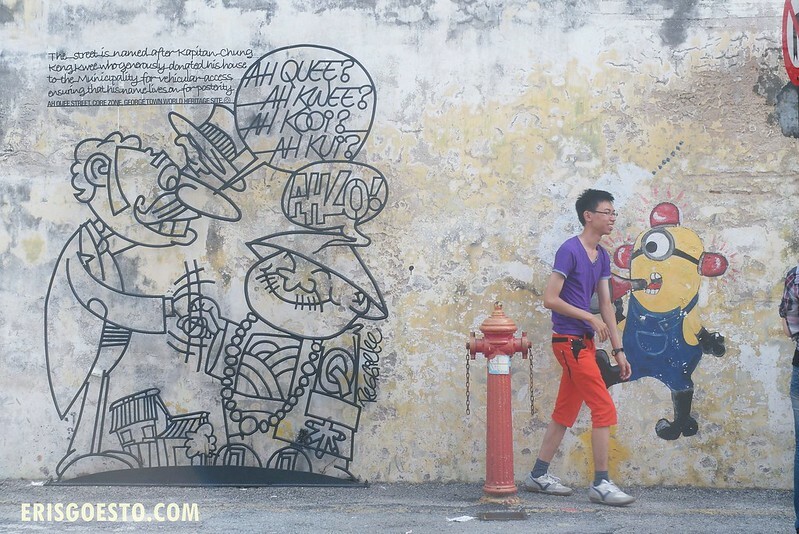 on Ah Quee Street depicts the famous and wealthy Chinese merchant Kapitan Chung Keng Kwee, who also built iconic historical buildings such as the Peranakan Mansion.There is also a random minion. 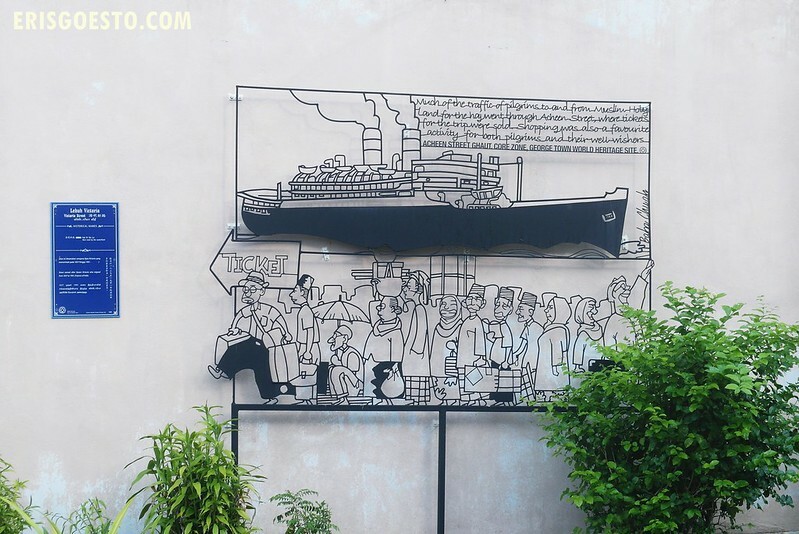 Some of the artworks were not drawn but welded from iron rods, giving them a 3D appearance. 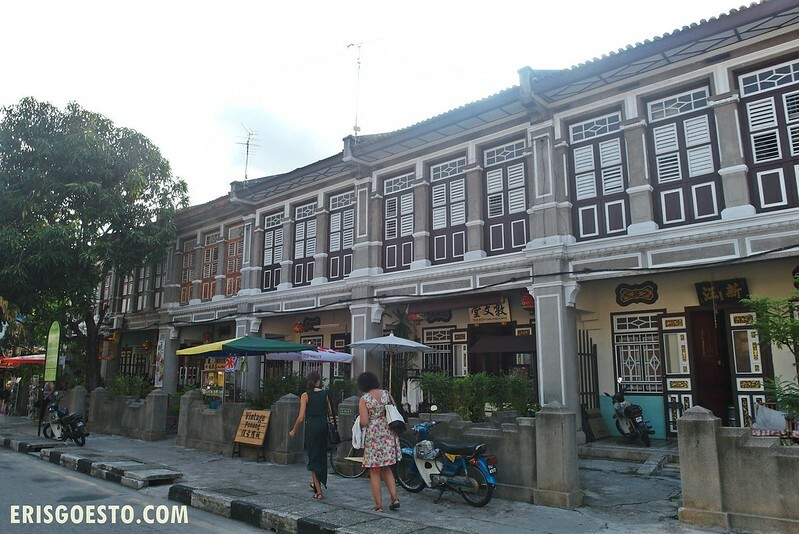 Most tell stories of the rich heritage and culture of Penang island. “Procession” shows the Grand Float Procession held in 1926 to celebrate the birthday of Tua Pek Kong (A Taoist deity, widely worshiped by Chinese communities in Penang). As it was the Year of the Tiger, effigies of the tiger was carried through the streets. The Hock Teik Cheng Sin Temple, or Poh Hock Seah, is a clan temple of the Hokkien people who trace their origins to Southern Fujian Province in China and was constructed in 1850. Since Penang’s population is largely Hokkien (which is also a commonly spoken dialect here), this temple would be significant during festivals and holy days. 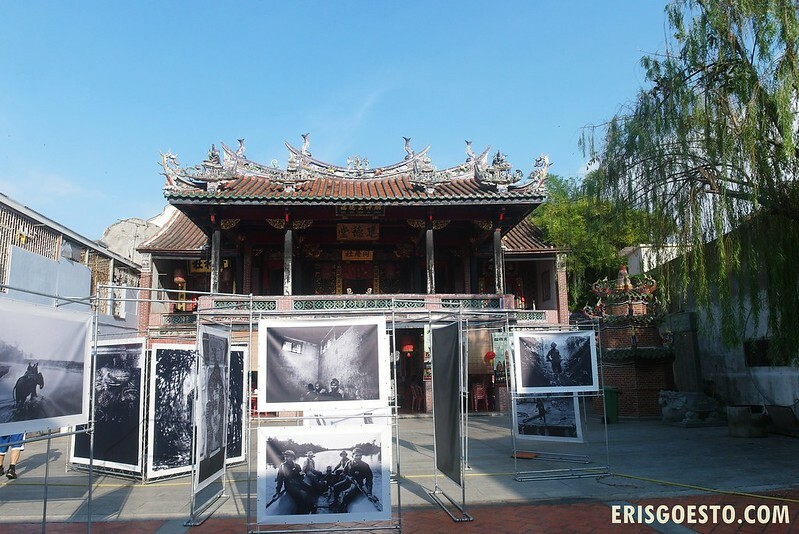 Coincidentally, there was an exhibition by Obscura Festival, ‘Trading to Extinction” by Patrick Brown, which captured some disturbing and powerful imagery of illegal animal trading and poaching, in the temple’s courtyard. A quick break from mural hunting. We stopped by at a corner shop near Armenian Street. Wanted to have cendol, but it was already 4pm and they ran out D: We had ais kacang instead, which was perfect for a hot day. 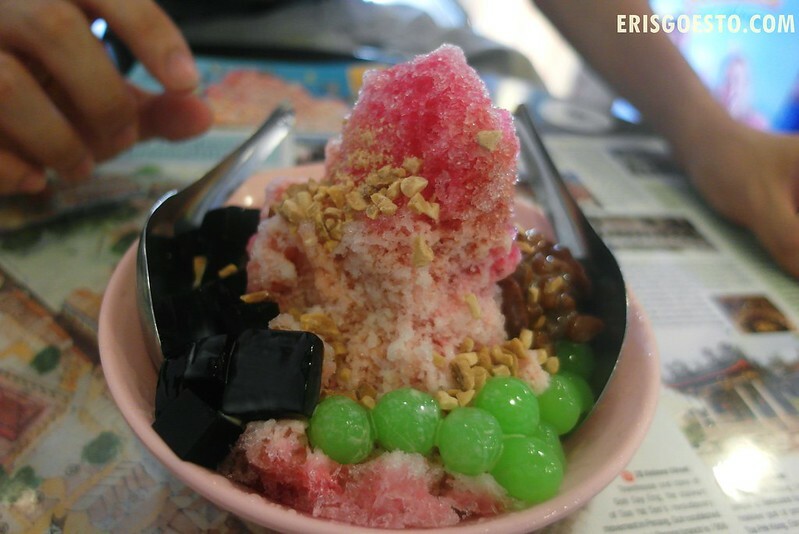 To those who haven’t had it before, it’s basically shaved ice topped condiments such as grass jelly, sago balls, sweet kidney beans, chopped peanuts and drizzled over with syrup, condensed milk and gula melaka (palm sugar). Sounds refreshing? You bet it is. 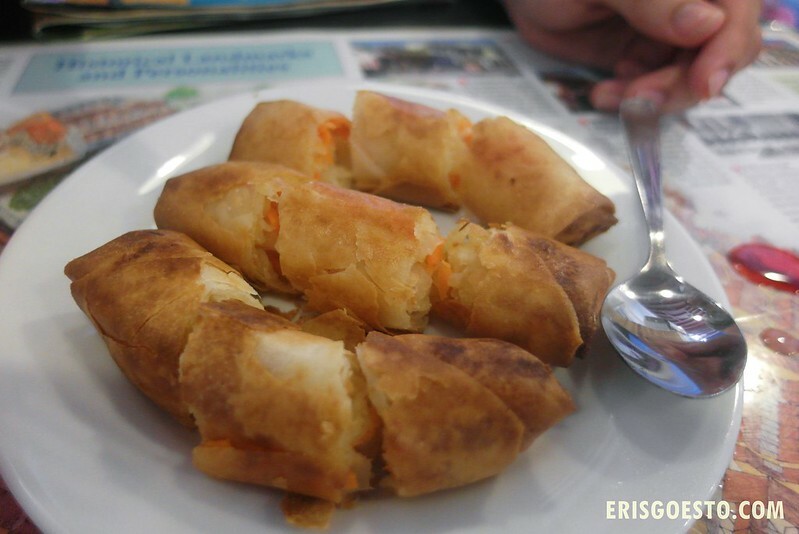 Some pretty good fried snacks of crispy popiah, stuffed with grated radish and carrots. More of Georgetown to come!